THAC concept is based on what our customers want: the best quality, proven designs, short delivery time, low maintenance and after-sales service. We offer our customers well-proven and thoroughly tested design and technology, competitively priced and innovative custom made winch by listening carefully to client specific requirements and feedback. To reduce delivery times substantially, we build a wide variety of crane kits on our own account and keep them in stock. However, the various options can be configured so they are tailor-made to suit customer demands. 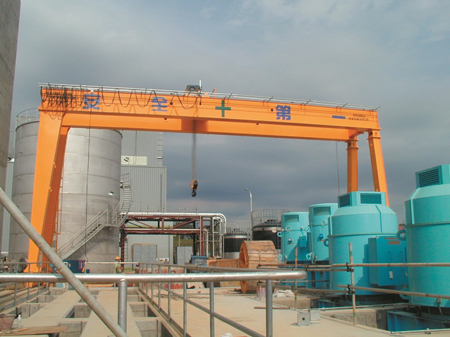 We can deliver custom made crane with a wide variety of options and we are able to give independent advice. THAC thinks innovation is the key to success and to stay at the top. The research and development (R&D) teams at THAC are continuously improving our product, making them more effective in their operations, more cost-efficient and more environmentally friendly. We not only create new designs, but also keep improving our existing products and parts by listening closely to our customers and by taking current technological trends into account.